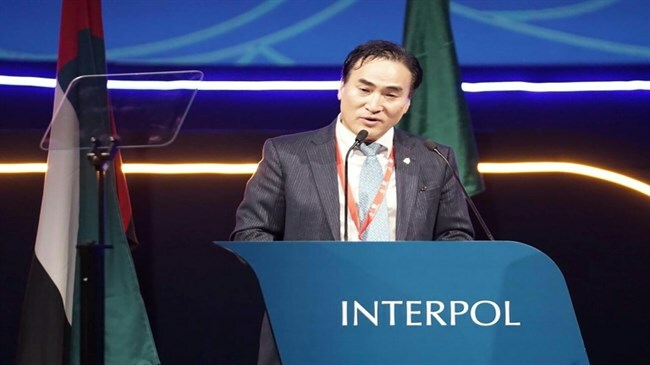 Dubai, November 21, 2018 – International police organization Interpol on Wednesday elected Kim Jong-yang of South Korea as president, beating a Russian whose candidacy had raised concerns in Europe and the United States about the risk of Kremlin interference. Interpol’s Secretary-General Jurgen Stock told reporters Kim’s election was free and transparent after Russia said clear outside pressure had been exerted on the vote. Kim was elected president, a largely ceremonial role, at Interpol’s annual congress in Dubai for a two-year term to succeed China’s Meng Hongwei. The presidency is typically held for four years. “The general assembly elected Mr. Kim from Korea as president through a voting process which was democratic, transparent, free and clear,” said Stock of Germany who heads day-to-day work at Interpol. The president is elected after winning a two-thirds majority among members in a secret ballot, according to Interpol’s website. U.S. and European politicians and Kremlin critics had lobbied against the candidacy of Alexander Prokopchuk of Russia, a police major-general and one of Interpol’s four vice-presidents. “No matter … what the nationality of the presidency is, it is not effecting Interpol’s neutrality and the independence of our organization,” said Stock. Interpol’s role is to facilitate cooperation between police forces around the world. Its charter forbids it from involving itself in disputes of a political, religious or racial nature. It is not a supranational police force and has no agents who are allowed to make arrests. “Let me be crystal clear, the members of the executive committee, including the president, have absolutely no involvement or influence in the task force review or decision making process,” said Stock. South Korea’s President Moon Jae-in congratulated Kim on becoming the first South Korean to head the organization.